The second youngest in the group, James Paul McCartney was born on June 18, 1942 to Jim McCartney, a cotton salesman, former jazz musician, and volunteer fireman and Mary McCartney, a nurse. For some reason in his family, they went by the kid's middle names. He had a quiet and cheerful home life until his Mum died from breast cancer when he was 14. He is infamously known for asking, "What are we going to do for money?" after he found out his mother had died, similar in nature to his reaction to John's death ("It's a drag"). To distract himself from the loss he took up the guitar, which he would, according to his dad, spend hours practicing on. By the time he met John Lennon later that year at a Church festival in which Lennon's band the Quarrymen performed, Paul had already composed his first song, I've Lost My Little Girl. Paul joined the Quarrymen, as did George Harrison at Paul's insistence. John thought George was too young, being two years younger than him and one year younger than Paul. The band went back and forth, performing and honing their skills in Germany, where they had their first hit, 'My Bonny'. Ringo Starr joined the Beatles when they were already on their way to the "toppermost of the poppermost". In the early days, John and Paul composed the songs together, but as they grew as musicians songs would turn out with contributions more like 30% Paul, 70% John, or vice versa. The Beatle's first #1 hit was 'Please, Please Me' on the English charts, and 'I Wanna Hold Your Hand' in the U.S. Having already conquered most of Europe by 1963, they reached new heights of celebrity in 1964 when they first visited the U.S. and the Ed Sullivan Show. Beatlemania ensued. Almost until the end, Paul was the most enthusiastic about the Beatles as a group and a huge money maker. As such, he often became their PR man, encouraging the rest of the Beatles to continue working even when they wanted breaks. In 1965 they stopped touring in order to concentrate more on their music, and out came some of their best albums and songs. By the late 1960s, the Beatles were growing apart, much to Paul's frustration. Though he was the one who wanted to break up the least, he ended up officially announcing their break-up. A depressed Paul settled with new wife Linda, new baby Mary and Heather (Linda's daughter from her first marriage) on his Scotland farm. It wasn't long before his enthusiasm would return though. Wings was next, which proved to the world and himself that there was indeed life after the Beatles. Today Paul is immersed in a solo career and the occasional U.S. and Europe tours. He recently had a brief tiff with Yoko Ono regarding an adjustment to the Lennon-McCartney song-writing team credits (i.e. McCartney-Lennon). He has since allowed the matter to rest. Though not always a favorite with the critics, Paul certainly has done well for himself, with enough hits, wealth and even critical successes for several musicians careers. Personally, after a long and happy marriage to Linda, he lost her to cancer in 1998. He went on to court and marry former model and activist Heather Mills in 2002. In October of 2003, the new Mrs./Lady McCartney gave birth to Beatrice McCartney. After losing John to murder in 1980 and George to cancer in 2001, he and Ringo are the only surviving members of the Beatles legacy. Just as Beatle fans professed amusement at the mythical young record buyer of the '70s who'd note in amazement, "Hey, did you know Paul McCartney was in another band before Wings?," Wings fans can now be amused by a new, even younger generation of CD buyers unaware that solo artist McCartney was once even in a band. An exaggeration, maybe, but still a possibility for the man whom in 1979 the Guiness Book of Records honored as the most successful popular music composer ever. Since that singular distinction, McCartney (b. James Paul McCartney, June 18, 1942, Liverpool, England) has released many more albums; the legendary Liverpudlian's career has continued at a more productive pace than ever into the '90s. Between the release of 1989's gold Flowers In The Dirt--which was highlighted by the singer's songwriting collaborations with Elvis Costello--through 1993's Paul Is Live, McCartney issued a total of seven albums, or roughly half the number of albums he recorded while a member of the Beatles. Indeed, there's a good chance that the still-active McCartney will match the astounding number of top 40 hits he and John Lennon penned for the Beatles--a total of 40--since the group's famous split of 1970. Though that doesn't take into account the many hits he and Lennon wrote for the likes of Peter & Gordon, Billy J. Kramer and other '60s British Invasion stars--all of which is still another facet of his extraordinary success--it's a fact which may surprise diehard Beatle fans who assume McCartney's track record with the Beatles remains unapproachable. In some ways, despite his monumental achievements, McCartney has fought an uphill battle since leaving the Beatles. Much of it has stemmed from the long-held critical perception that the Lennon & McCartney songwriting team offered a perfect balance of harshness and sweetness--that Lennon was the diehard rock 'n' roller of the pair, while McCartney was the softer, sweeter crooner. Early on, critics point out, McCartney preferred to cover the likes of "A Taste Of Honey" and "Till There Was You" while Lennon opted for Chuck Berry tunes like "Roll Over, Beethoven" and "Rock 'N' Roll Music." After the pair split, the dichotomy became a matter of public record: Lennon aimed his biting 1971 song "How Do You Sleep" directly at McCartney, declaring "the sound you make is muzak to my ears"; five years later, McCartney's "Silly Love Songs" indirectly responded with "You'd think that people would have had enough of silly love songs/But I look around me and I see it isn't so." The bottom line, at least on the commercial level, is that by the time Lennon began his five-year leave from the music business in 1975, he had only nine top 40 hits to his credit compared to McCartney's 16. Perhaps ironically, while a significant amount of Lennon's post-Beatles work has dated poorly--particularly 1972's Sometime In New York City--McCartney's early unpolished solo work such as 1970's McCartney and 1971's Ram still sounds remarkably fresh and current. Where Lennon at times seemed to strive to make massive statements, whether personal or political, McCartney's deliberately informal, lighthearted approach to music-making, perfectly illustrated by his new group Wings' 1971 near-primitive debut Wild Life, had an even more alluring, timeless charm. Though Wings quickly grew into an extremely polished, sometimes slick aggregation by the time of their second album Red Rose Speedway, which bore the No. 1 hit "My Love," they displayed an overall playfulness, and a sense of not taking themselves too seriously, that was all the more endearing. Furthermore, while critics continued to maintain that McCartney gravitated toward the schmaltzy--and admittedly, ballads like "My Love" didn't help--the former Beatle recorded a significant number of outright rockers, whether on his albums or as single B-sides; among the best were the top 10 hits "Hi, Hi, Hi," "Helen Wheels," "Jet," and "Band On The Run." The latter was the title track of McCartney's best and most successful album ever, a 1973 set that drove home to many the fact that the former Beatle was making a full-fledged career on his own, and clearly no longer in need of his former bandmates to churn out hits regularly. Before Wings officially disbanded in 1981, McCartney scored 24 top 40 hits with them, 14 of which made the top 10, six of which went to No. 1. With the exception of the 1978 platinum compilation Wings Greatest, all of the band's nine albums reached the top 10; additionally, each of the five consecutive albums between Red Rose Speedway and 1976's Wings Over America went to No. 1. 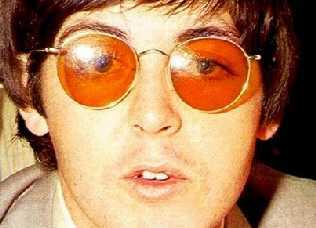 After being part of the highest-charting group of the '60s, by the end of the '70s, McCartney was second only to Elton John as the highest-charting artist of that decade as well. 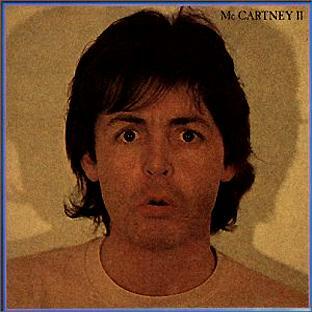 Starting the '80s with McCartney II, his first true solo album since 1970's McCartney, the ex-Beatle began a noticeable commercial slide that, considering his status during the previous two decades, was probably inevitable. He recorded only one No. 1 album--1982's Tug Of War---and had his biggest hits via duets with Stevie Wonder (1982's seven-week No. 1 smash "Ebony And Ivory") and Michael Jackson (1982's No. 2 single "The Girl Is Mine" and 1983's six-week No. 1 "Say, Say, Say"). The latter singles were particularly significant: Jackson, who was experiencing the greatest fame of his life with Thriller, was beginning to enjoy the same sort of superstar status McCartney himself had known for the previous 20 years; it's more likely the two duets' extended success came through his participation in the tracks rather than McCartney's. The former Beatle finished out the '80s in a somewhat low-key fashion. He had two more top 10 hits with 1984's "No More Lonely Nights," from his lukewarmly-received film Give My Regards To Broad Street, and 1985's "Spies Like Us," from the film of the same name. For the first time in his career, he released albums that failed even to go gold (1986's Press To Play and 1987's hits compilation All The Best!). McCartney's critical standing got a shot in the arm with 1989's Flowers In The Dirt. The accompanying Get Back world tour, the singer's first in 13 years, was a huge, high-grossing success featuring as its high point McCartney unexpectedly performing such Beatles songs as "Sgt. Pepper's Lonely Hearts Club Band," "The Fool On The Hill," and "Hey Jude." Tripping The Live Fantastic was the live-double CD that documented the tour; a month after its release, Capitol Records released an abbreviated "highlights" version that featured 13 of McCartney's Beatle covers (as well as four of his solo songs) on a single disc. Revealingly, perhaps, only the second set was certified platinum. In a very active 1991, McCartney released one of the first MTV-related Unplugged albums; Unplugged: The Official Bootleg featured the debut recording of "I Lost My Little Girl," the first song he'd ever written, and was surprisingly strong despite its informal origin. Five months later brought the worldwide issue of CHOBA B CCCP (Back In The USSR), an album of non-Beatle oldies he'd recorded in 1988 exclusively for distribution in the Soviet Union. The same week, he released Liverpool Oratorio, his first full-length work of classical music, which he'd composed with conductor Carl Davis and recorded at the Liverpool Cathedral with the Royal Philharmonic Orchestra and Choir. Not much of a pop smash, nor passionately embraced by music critics, the album nonetheless soared to the top of the classical charts. McCartney continued in the productive mode with 1993's Off The Ground, which contained two more collaborations with Elvis Costello and the single "Hope Of Deliverance," which disappointingly peaked at No. 83. Having thoroughly enjoyed his 1989-90 touring experience, the singer embarked on yet another trek. The New World Tour, the biggest in McCartney's career, reached five continents and featured performances of long-unheard Beatle hits such as "All My Loving," "Here There And Everywhere," and "I Wanna Be Your Man." 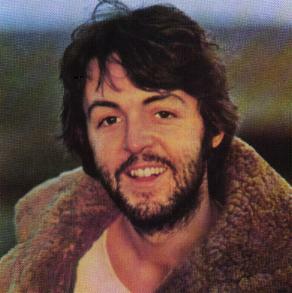 In late 1993, he again released a live album: Its cover was a parody of that of the Beatles' Abbey Road, depicting McCartney walking a dog while crossing the street in front of famed London studio; its title, Paul Is Live, a play on the "Paul is dead" rumors rampant at the time of Abbey Road's release. And in 1997, he released Flaming Pie *, which, significantly, entered the Billboard charts in the top 10. McCartney also has been faced with his share of tragedy. In April 1998, Linda McCartney succumbed to breast cancer after a three-year battle. Devastated by the death of his soul mate, McCartney kept a low profile before returning to his roots with the 1999's Run Devil Run. The set of mostly early rock 'n' roll covers features McCartney jamming with a group of friends, including Pink Floyd's David Gilmour. That was followed by the Grammy-nominated Liverpool Sound Collage in 2000. Seemingly on a roll, McCartney's profile rose dramatically in 2001 when he applied the same formula used for the Beatles Anthology to his career with Wingspan, a TV documentary and CD set focusing on his post-Beatles band. Looking back didn't hamper McCartney's ability to move forward. In October 2001 he appeared at Concert For New York City at Madison Square Garden performing a new song titled "Freedom," his response to the September 11, 2001 terrorist attacks on the World Trade Center in New York. The song was a last minute addition to his 2001 album, Driving Rain, which also featured "From A Lover To A Friend," a tribute to his late wife Linda. In late 2001, McCartney dealt with the death of another loved one, former Beatles mate George Harrison, who also died of cancer. Harrison and Linda McCartney were the subject of tributes performed during his 2002 highly successful Driving USA Tour. McCartney also scored an Oscar nomination for "Vanilla Sky" theme in 2002 and performed the track on the Academy Awards telecast. Maybe he thinks he missed his calling. Maybe he's amazed at how much work it takes to do one. But Paul McCartney wants to talk books. Specifically, Each One Believing: Paul McCartney, On Stage, Off Stage, and Backstage , an insider's coffee-table tome, an on-the-road eavesdropper's delight, that takes fans behind the scenes of his huge 2002-03 World Tour. Produced with a little help from his friends, it arrives just in time for folks to carry it back this holiday season. Sir Paul has directed his publicists to skip the pop music regulars on this go-around. He wants to be interviewed by literary journalists. Hey, no problem. All you need is - to ask. Beyoncé isn't exactly on the other line, offering a one-on-one. So listen to what the man said. It all began with the tour, which mushroomed into 91 dates, 36 songs a night, in 16 countries, and ended up as Billboard magazine's Tour of the Year. "It was post-9/11," McCartney says, on the phone from London, "we'd done the Concert for New York, and we'd seen firsthand what it meant to the American people... . I was going to do it just to sort of dip my toe in the touring waters, and decide whether I liked it or not." Turns out, he felt fine: "Some of this post-9/11 feeling, a lot of it in fact, was coming off our American audiences, they were really sort of giving us the thumbs up." "That communicated itself to the band in particular," he continues, "and then sort of filtered through to all the people backstage... . We'd say, 'Yeah, I don't know what it is about this tour. It just feels really cool. So we said, you know, let's get a film camera." Official photographer Bill Bernstein did the stills. Others conducted mini-interviews: "We thought, we should record this, if only for ourselves." The result for others is entree to Rome, Moscow and elsewhere, lots of photos, and plenty of first-person thoughts from the man in the middle. "I was involved in the whole process," McCartney says. The aim was that "it read well, like a good book. It had to run across the page, to lead you on." And so it does. Though rock royalty did encounter that odd fetish: editing. "Of all the stuff we put together," he recalls, "there were only one or two little things that were pulled... the layout design girl would say, 'Oh, they don't really want that paragraph, they don't think that's very good, or whatever.' "
If pop songs were books, some bright editor way back might have grabbed Sir Paul and complained, "Look, you don't need that line 'She didn't say' after 'Why she had to go, I don't know... . ' Obviously, if she had said why she had to go, you'd know!" At this stage, now that he's 62, Sir Paul understands he's part of history. He intimidates. That's compounded by his successful post-Beatles career, his dignity through the death of his first wife, Linda, his romantic rebirth with activist and second wife Heather. All lend him a stature not enjoyed by rock elders still pretending to be wild and 25. "Because the Beatles stuff was legendary," he explains, "people might sometimes not be as free in telling you no. That's a danger that you have to watch out for. I have to encourage people to have their own opinions." The good part is that people still want to know every little thing. Why, for instance, is a billionaire associated with more ringing phrases in the English language than anyone since Shakespeare still happy just to play for fans? "You know," he says, "with the Beatles, we probably used to play about 30 minutes... . Now, I sing for three hours. Well, there isn't an opera singer on Earth who sings nonstop for three hours - there's always a soprano to help him out!" And yet: "I came off the end of the tour more energized than at the beginning... . People would say, 'You look well!' And I'd say, 'You know, it's actually kind of good exercise, good cardiovascular, what I'm doing. Every night, it's like going to the gym, only more fun." OK. So it's good for him. But is he as good a musician as he used to be? He thinks he's getting better all the time, "just cause I've sort of done more, learned a few more things, learned what not to do... singing isn't the sweat it used to be... I still do the songs in the original keys... . "
Another reason he likes touring is that he's still learning things about old songs such as "Yesterday." Earlier in the day, he'd listened to the original. "I don't sing it like that anymore," he admits. "I think I sing it OK. I probably sing it quite well. But there's just a boyishness to that recording. There's no way I can be a 24-year-old boy anymore." In the book, McCartney says songs like "Yesterday" mean more to him now. "How did a 24-year-old kid write that?" he asks of his most famous ballad. "How did he know that? I now know it just because of life... . I suppose you'd also have to say, 'How did such and such a novelist write such an apparently mature thing when he was only 19?' I think you do have a sort of imagined maturity that kicks in." It sounds as though he no longer feels the immensity of the Beatles phenomenon hanging over him. "That's a sort of true statement," he remarks. "It's all sort of melted into one thing. So now it's not really a weight, it's not like, 'Oh, will you stop asking me Beatles questions!' It's like, 'Yeah, I'll talk about the Beatles.' "
He considers that a happy change. "It really is, particularly having lost two of the guys. It's nice to talk about them, because it sort of brings them back for those few seconds." Actually, there's nothing better for reliving the old days than writing a real memoir. Ask Bill Clinton. Will Sir Paul ever give it a shot? "It's one of those things that I've been putting off forever," he replies. "Because it didn't seem like it's time yet. I always feel like it's 80-year-old retired generals... . "
"I suppose it's such a daunting task. I would need time. I would really need to not do as much as I do... . I'd probably have to sit with someone and say, 'Right, what have I done? Give me some clues. Remind me.' "
"But I agree with you, I would probably find it interesting... . it would be for my family and my kids and my loved ones, to have some sort of accurate idea of who I am, and what I think about what I've done... . It may be something I'll do when I'm an 80-year-old general!" Billed as an evening with playwright Willy Russell and friends, this event deteriorated into a media circus for the launch of Paul McCartney's new career as a poet. McCartney, it was announced, would fill the last spot in the event (ostensibly a tribute to Adrian Henri, the poet and painter who died in December), following contributions from the acerbic Newcastle poet Tom Pickard and the equally left-wing Adrian Mitchell. Pickard treated the eager, star-struck audience to a rambling, incoherent performance. A few dour pieces about shipyards gave way to a graphic eulogy to fornication from his Fuckwind tome. Mitchell regaled them with tales of his poetic adventures, recited with humour and passion, before conceding defeat and with a cheerful shrug announcing his protege. Dressed in black, McCartney sauntered to the rostrum, fresh-faced as a cheeky choirboy, to read a handful of poems from his Blackbird Singing collection. He began with a look at his Liverpool childhood, then became intense as he explained the background to the next poem, Jerk of Jerks, inspired by John Lennon's murderer. The same mood was adopted as he talked about coming to terms with Linda's death and how the introspection of poetry had helped. None really struck a chord.